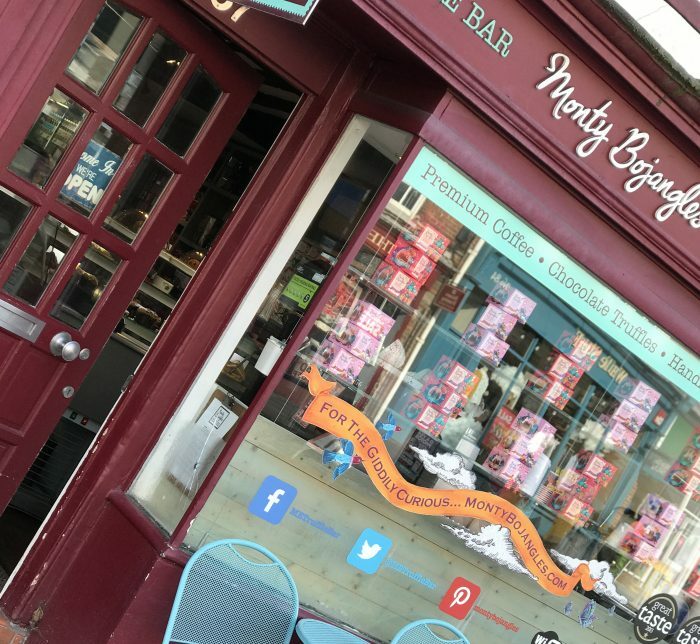 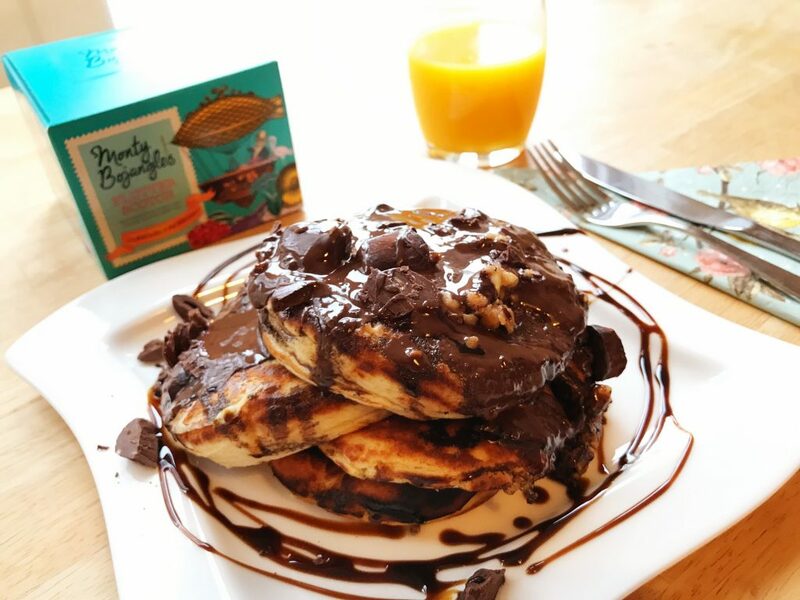 Here are four great places to find Monty Bojangles on OFFER this Valentines. 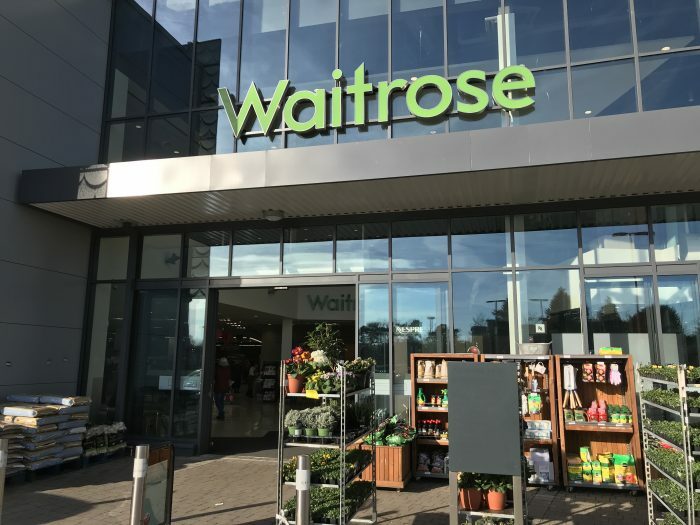 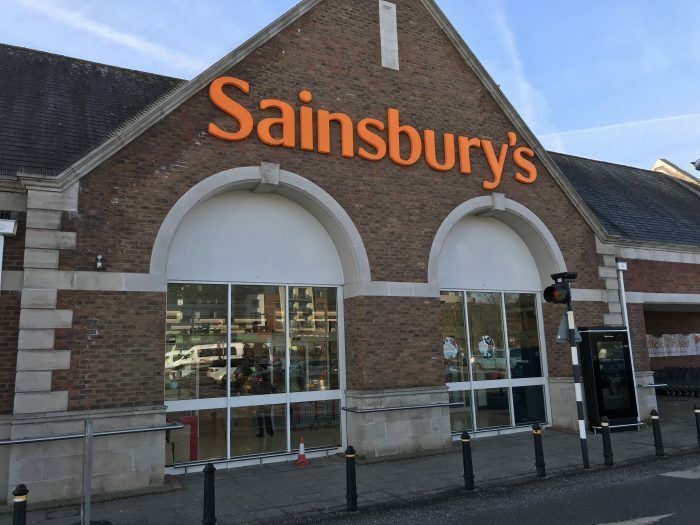 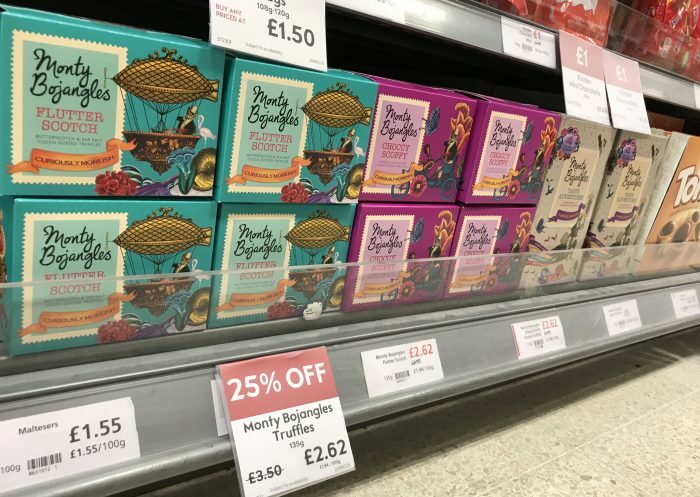 You can find three of our Monty Bojangles Truffle flavours at Waitrose stores Choccy Scoffy,Flutter Scotch & Scrumple Nutty all with 25% off a box. 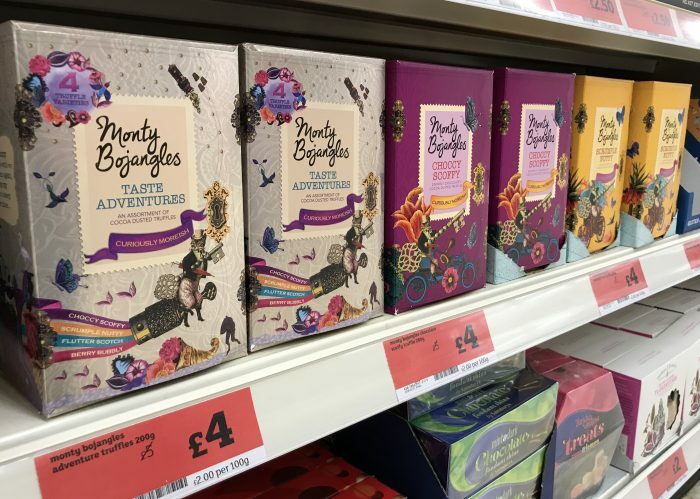 Discover treasure at Sainsbury’s with our Choccy Scoffy ,Scrumple Nutty & Taste Adventures variety boxesall on offer with a £1 off a box. 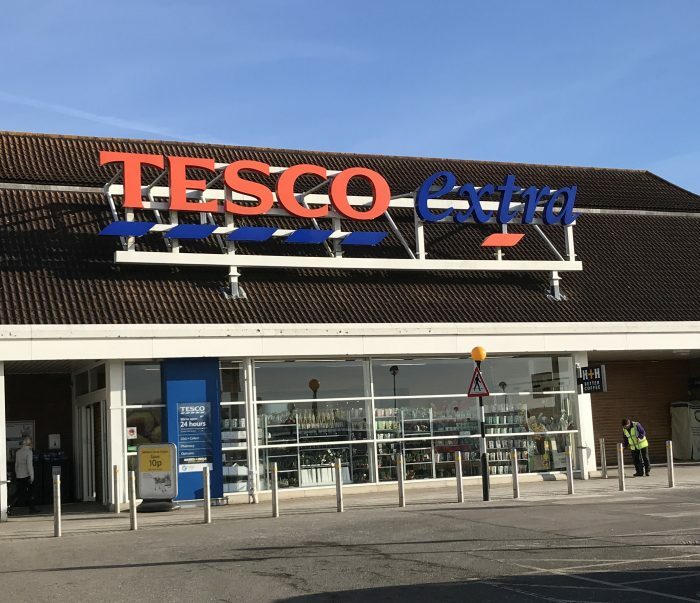 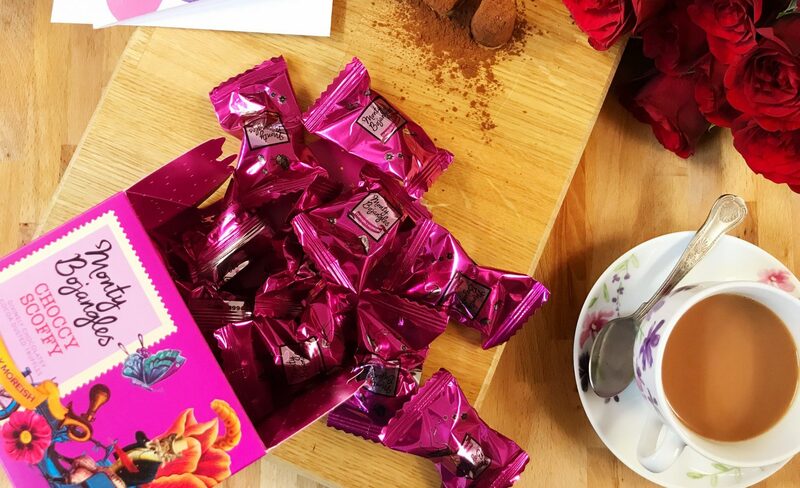 Tesco has a trio of boxes to choose from starting with our best selling Taste Adventures crown top box. 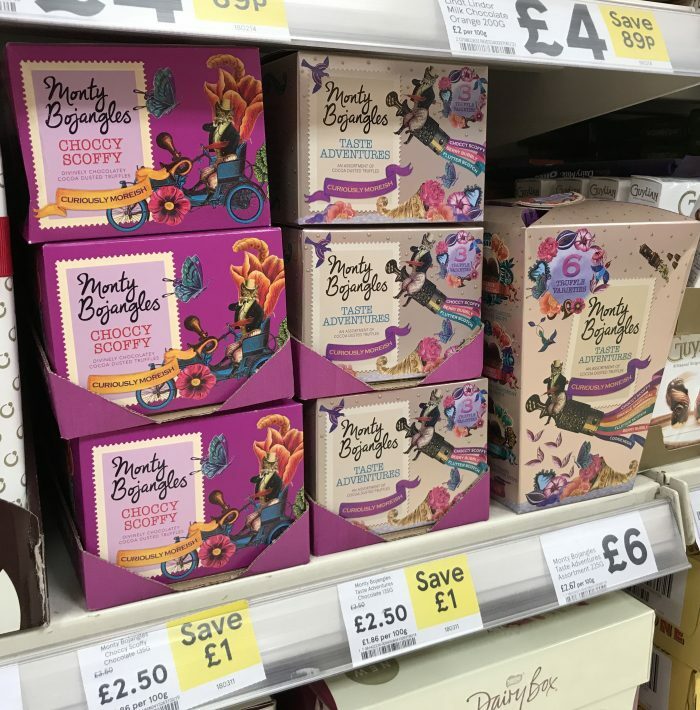 However you can also Save £1 with our Choccy Scoffy and Taste Adventures trinket boxes. 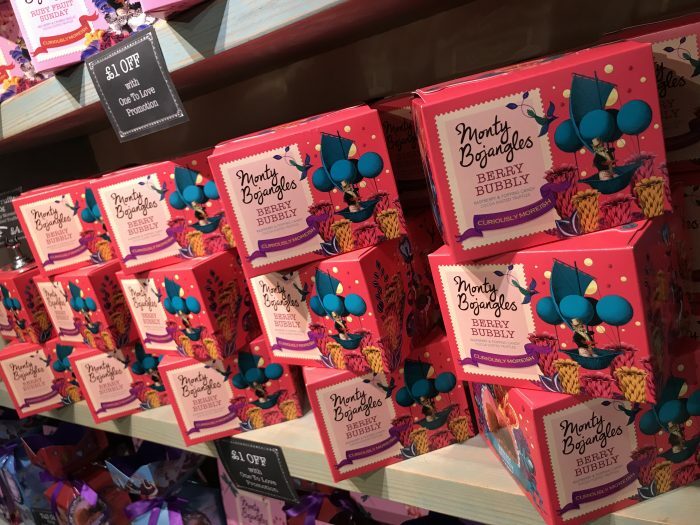 Finally you can join us at our very own Truffle Bar in Reigate, Surrey to enjoy all our seasonal truffle specials and make the most of our ‘One to Love’ promotion with £1 off all pink and blue boxes in store.